Alongside many illustrious names in the culinary world, HelloFresh took part in the “Eat (RED) Save Lives” campaign to raise awareness for the ongoing fight against AIDS. 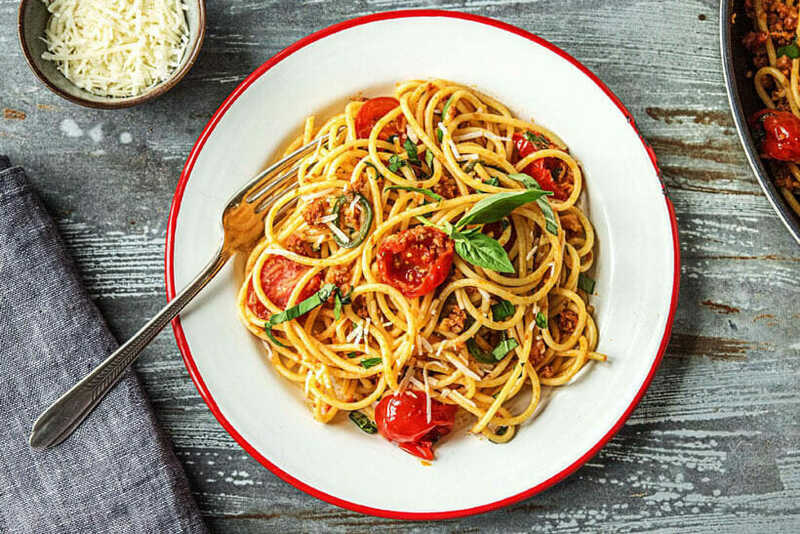 The campaign started on May 23rd and it comprises limited edition meal kits (HELLOFRESH RED) and custom-made easy-to-follow recipes, designed by (RED) Ambassador Chefs Mario Batali, Rachael Ray, Emeril Lagasse, and Carla Hall. During the campaign, HelloFresh will be giving a 20$ discount for every new subscriber using the code “HELLORED” and, in turn, they will donate 20$ for every meal kit ordered. The discount is applicable only to the first box. The Bill & Melinda Gates Foundation has promised to match every HelloFresh donation, up to the amount of 500,000$. Customers can also donate directly through the HelloFresh website and The Gates Foundation will match their donations, up to 75,000$. As Chef Batali hinted, this year brings a new outline of RED’s culinary campaign. The Bank of America and Bonnaroo are also joining the initiative, alongside HelloFresh. Together with RED, they will organize various events throughout June, the most important one being the Eat (RED) Food & Film Festival. The manifestation will take part on June 20th in Bryant Park, New York. Visitors and culinary aficionados will have a unique opportunity to relish the ultimate picnic dinner, New York style. The menu was designed by Mario Batali, Jean-Georges Vongerichten, Ina Garten, Danny Bowien, and Angie Mar. Ticketed guests will also be able to enjoy an outdoor screening of the American classic “Sleepless in Seattle,” Birra Moretti beer, summer cocktails, and Josh Cellars wine. The current ticket price is 100$, with 100% of the sales going to battling AIDS with RED. With every-dollar-matched by the Bill & Melinda Gates Foundation and Bank of America, every ticket results in 600$ aimed at fighting AIDS. If you’d like to know more about HelloFresh, read our detailed HelloFresh review!